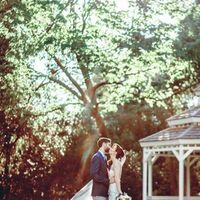 For the couple who is not only wealthy with love but also passport stamps, you might seek something off the beaten path for your honeymoon. Considering you’ve seen enough beaches and European city centers to last your lifetime, your first trek as a dynamic married duo might be best spent during a Zimbabwe honeymoon. Especially if the great outdoors are where both of you feel the most at home, you’ll appreciate the myriad landscape this destination offers. From countless parks, reserves and safaris with hundreds of animals species to the infamous Victoria Falls, where adrenaline junkies can white-water raft or bungee jump, you might not have too much five-star downtime, but you’ll sure come home with plenty of stories. Before you make the multi-flight journey to this region of the planet, consider these travel tips that offer a glimpse into what you might experience during a Zimbabwe honeymoon. The good news about this African country? Most of the year, you and your spouse can savor mild temperatures, very little rain and a low-malaria risk. The bad news? The best season to visit this area if you want to take countless photos of wildlife in their natural habitat happens to fall when the heat and humidity is super-high. Even so, if you’re going to do this vacation - and your honeymoon! - right, it’s worth the extra sweat to set your travel dates in the dry months of May to October. This nature reserve in west Zimbabwe is one of the main reasons many honeymooners will set their sights on this country. How come? It’s legendary for its remarkable - and beautiful - grasslands and mopane woods. Pretty enough on their own, but spectacular when you consider this is where countless elephant herds, wild African dogs and lions call their home. Here, you can witness these special creatures in their natural habitat via Jeep, helping you to connect to one another and the planet in a new way. When you venture to the northwest of this reserve, you can also see animals collecting around the Mandavu and Masuma dams, complete with safe lookouts for you to hide in. The southeast offers watering holes (yep, you read that right!) and an viewing platform that’s high above the lands for a better glimpse. For a bit of history, head to the Bumbusi National Monument where you’ll see both pre-colonial rock carvings and 18th century ruins. You might already be mesmerized by the majesty of the world, but when you see the world’s largest man-made lake and reservoir by volume, in person? You and your partner will both have to catch your breath. Around 1,300 meters upstream from the Indian Ocean, on the border of Zambia and Zimbabwe, this body of water expands across 5,000 square kilometers. When you stay in this area, you’ll savor the remarkable views, sunsets, fishing, boating and water sport excursions, among other activities. You can dine under the stars, get lost in your own bungalow and find the kind of seclusion every honeymooner craves. For a history brush-up lesson while during your Zimbabwe honeymoon, spend a few days touring through the infamous Matobo National Park in the southwest region of the country. With a rich background, you’ll find yourselves curious to learn more about the Matobo Hills, where many balancing rock formations were created by erosion of the granite plateau. Amongst the sheer beauty of this natural creation, you can also see rock art from the Stone Age on the walls of the Nswatugi Cave, as well as see impressive wildlife, like black eagles. Here is where the white rhino used to call home before it’s recent extinction. As one of the seven wonders of the world, you can’t make the long journey to Zimbabwe without seeing Victoria Falls. 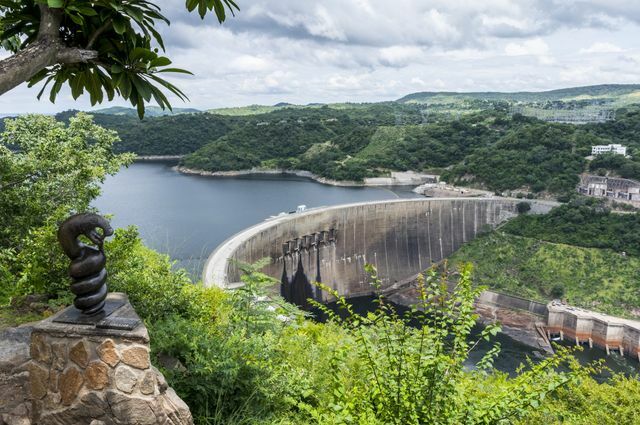 More than 1.7 kilometers wide with around 550 million liters of water that rush 70 to 108 meters into the Zambezi River - they’re a sight you surely won’t forget. Why are they so massive and impressive? 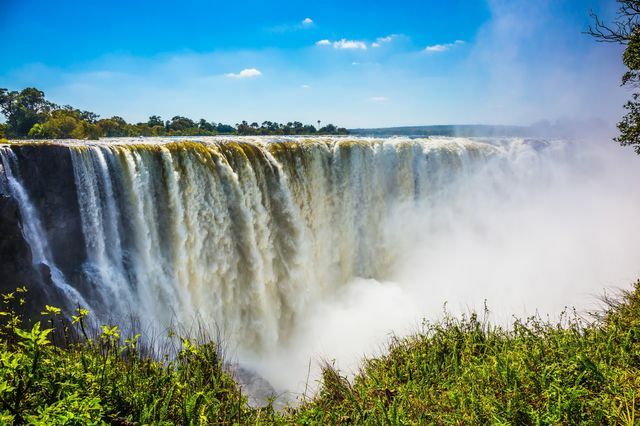 Mainly because there are simply so many of them, or five to be exact: The Devil’s Cataract, Main Falls, Rainbow Falls, Horseshoe Falls and The Eastern Cataract, on the border of Zambia. Each of the falls offer something different - from whitewater rafting to daily rainbows and views - making the adventure that much more worthwhile.